When AB-InBev bought Goose Island a few years back, I vowed to stay away from their beers solely on the basis of any trying to support craft breweries. It hasn’t been all that difficult to do, except for the occasional Bourbon County Stout, Matilda, or Sofie. 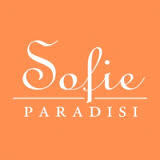 But now, after trying Sofie Paradisi, the task may prove to be more daunting than originally thought. I know many of you will scoff at the idea of not drinking Goose Island just because InBev owns it now, and that’s fine, to each his own. But when a beer gets this much pub and chatter about it, you just have to get your hands on it. Well, I wasn’t able to find this beer anywhere in Iowa, but on a recent trip up north to Madison my wife and I stopped and ate at the Craftsman Table and Tap (http://www.craftsmantableandtap.com/) in Middleton, WI. A really great beer menu to go along with some fantastic food (I recommend the pulled brisket sandwich and a side order of cheese curds) my eyes darted right to where the listing for Sofie Paradisi was. YES! Finally! Now the question is…which one is better? If you’ve had both feel free to cast your vote below. I’m still up in the air, I would love to have Paradisi a few more times before giving my final verdict. Pour: Golden pour with a thick pillowy head. My recommendation: A perfect summer beer. Really would love to get my hands on a few bottles of this. Terrific brew!